There is magic in those birds. There is magic in this lamp. Both are striking. 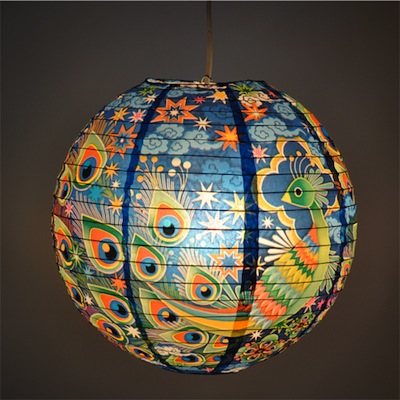 And when this lamp lights up, it's really stunning. Design by Catalina Estrada. Includes spring-action expander. Cord Kit NOT included. 13 3/4" diameter.